On August 29th, the Business Development Bank of Canada (BDC) held its 8th annual charity golf tournament in support of SOS Children’s Villages Canada. 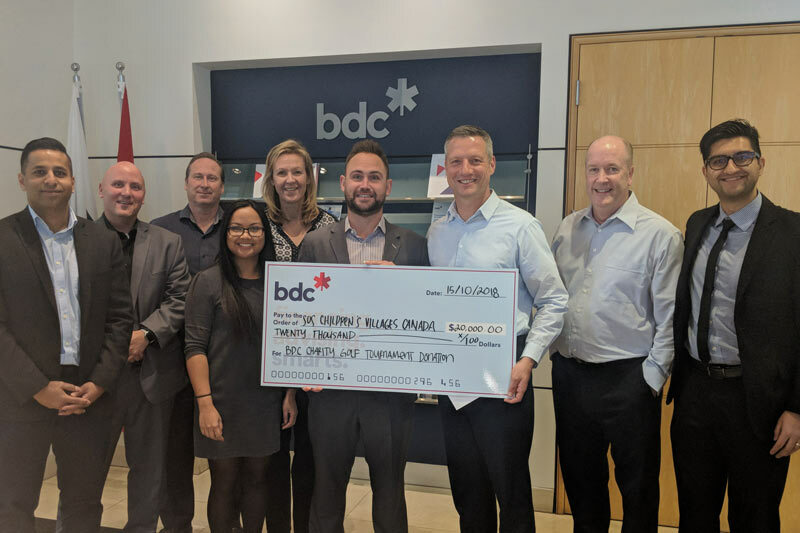 Thanks to the generosity of the BDC’s staff and clients, $20,000 was raised to help SOS Children’s Villages Canada provide loving homes to orphaned, abandoned and other vulnerable children around the world. “The BDC charity golf tournament was a wonderful event and a great opportunity to share the important work of SOS Children’s Villages with even more Canadians. We are grateful to the BDC for choosing SOS Children’s Villages as their charity of choice for this event and for helping us to extend our reach in western Canada,” says Ken Gorman, Director of Major Gifts at SOS Children’s Villages Canada. A special thank you goes to Saqib Tariq for connecting us to the BDC and for his continued support of SOS Children’s Villages’ work to help children in-need grow with the love, security and support they deserve.